The Independent Investigations Office came into effect after the Braidwood Inquiry. Justice Braidwood found inaccuracies within the RCMP internal review report concerning the tasering of Polish immigrant, Robert Dziekanski Vancouver International Airport. Justice Braidwood decided in the inquiry that it was a bad idea for the police to investigate police and that an independent investigations body should be established to investigate police incidents where there were accounts death or serious harm. The IIO would investigate police officer conduct to see if the officer was liable to criminal charges. The Independent Investigations Office is set up in the Ministry of Justice and is under the command and direction of the Chief Civilian Director, and the Chief Civilian Director cannot ever have served as a police officer (iiobc, 2015). The mandate of the Independent Investigations Office is simple; they investigate police incidents where there as been a death or serious harm and the IIO is tasked to investigate whether the police officer in that incident has committed a criminal offence. Incidents of serious harm may include injuries that could result in death, “or may cause substantial loss or impairment of mobility of the body as a whole or of the function of any limb or organ”(iiobc, 2015). The IIO, the RCMP and other police departments in British Columbia launch investigations in accordance to the Criminal Code of Canada and perhaps other statutes. The Independent Investigations Office is headed by Chief Civilian Director, Richard Rosenthal. Prior to becoming the head of the IIO, Rosenthal was a Los Angeles County Deputy District Attorney. He worked in the Central Trials Division, where he prosecuted felony violations and homicides. After working in the Central Trials Division Rosenthal investigated high profile financial offences in the Major Fraud Division. Richard also worked in the Special Investigation Division, prosecuting public officials, judges, and police officers who were engaged in misconduct. In 2001 Rosenthal created Portland first police oversight body. In 2005 Rosenthal was charged with heading Denver’s first Independent Monitor that investigated incidents of officer shooting as well as in-custody deaths. Clinton J. Sadlemyer is the IIO’s Director of Legal Services. Sadlemyer has practiced criminal law and was once a crown prosecutor. He is also a member of the Canadian Bar Association. John Larkin is the Chief of Investigations. He has racked up 30 years of police experience in England and Northern Ireland. Larkin has headed operations into homicides and has been in charge of counter terrorism investigations. Larkin has also leaded investigations into police misconduct, especially in cases involving officers involved in murder. Barbara Kaiway is the Director of Corporate Services. Kaiway has been a public servant for more than 30 years and has a background in finance and administration. Kellie Kilpatrick is the Executive Director of Public Accountability. Kilpatrick is a specialist in Child Welfare and her current role,is to be “responsible for those IIO programs that interface with external stakeholders, affected persons, and media, other Government Ministries and for public reporting”(iiobc, 2015). The Independent Office of Investigations has four general investigative teams as well as a specialized team, and in addition every team is headed by a director. About half of the investigators are former police officers, but “those without policing backgrounds have significant experience in other investigative agencies”(iiobc, 2015). All IIO investigators have to be civilians “with investigative experience, a former member of a police or law enforcement agency outside of British Columbia, or a former member of the Royal Canadian Mounted Police”(Leg.bc, 2011) .The Specialized Unit has investigators with experience in forensic identification and collision analysis. The IIO also monitors police officers who are gathering evidence at the scene of a crime. Currently the IIO is investigating a case of the stabbing rampage that took place a few weeks ago in front of the First United Church on Hastings and Gore. 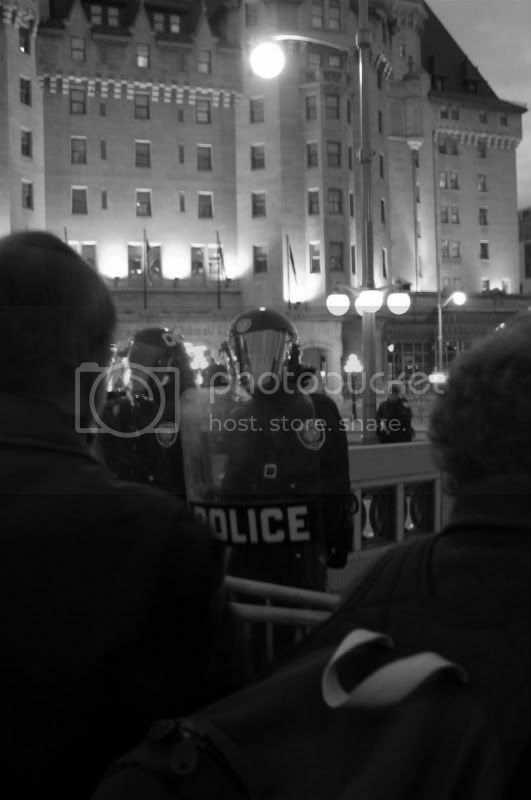 On that day the Vancouver Police Department received “reports of a man stabbing people near the First United Church”(CBC, 2015) in the Downtown East Side. Once police showed up they found an individual in possession of a knife who was just outside of the First United Church. The man with the knife then targeted a woman, police then shot the man. The woman was in critical condition and two other individuals “were treated for non life-threatening injuries”(CBC, 2015). It was noted that the police tried to take the suspect into custody. After the incident the IIO was called in and they conducted a neighborhood canvass; they interviewed witnesses, secured any video, and were seeking out any other information that may be available”(iiobc, 2015). The future of the IIO is strong. It is a true accountability body. Civilians do not have to worry about the problems of police investigating police. Most of the IIO investigators are retired police officers, lawyers, and public servants. To add, the heads of the organization are members who belong to the international community. Most of the directors were not even born in Canada, and there is a strict rule in that the chief civilian director can never have served as a police officer; this further extends the point that the IIO is an impartial civilian oversight body. The IIO is an organization that will last long because their members have years and years of experience and they don’t have current ties or allegiance to any police organization while they are investigating the police. In this film, two of the main characters, Colin Sullivan (Matt Damon) and Billy Costigan (Leonardo DiCaprio) play a role as police officers. 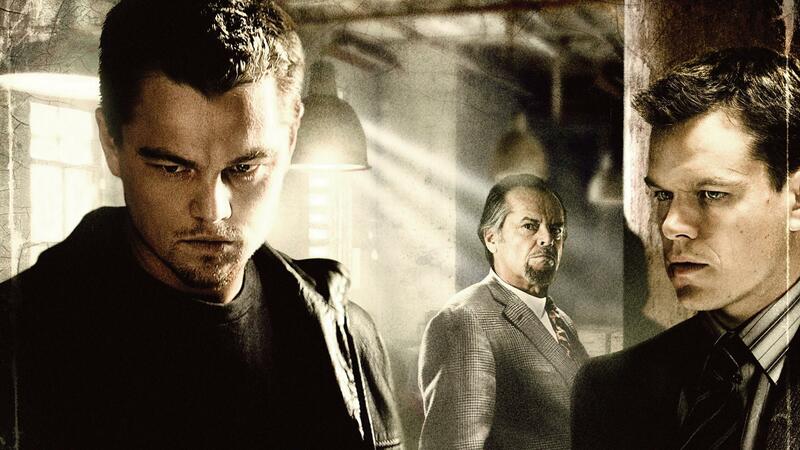 Sullivan is recruited at a young age by Frank Costello (Jack Nicholson), an Irish-American mobster. When he grows older, he gets a job as a police officer with the state police force, and works with the Special Investigations Unit which focuses on organized crime. However, his purpose behind getting this job was so that he could get information from the inside and keep Costello informed. On the other hand, Costigan, who comes from a background of extended family ties to organized crime, also wants to become a police officer. However, before he is able to graduate from the police academy, the state police force’s captain and staff sergeant approach him. After meeting him they decide to offer him a position as a police officer only on one condition, which is that he quit the police academy, be charged and sentenced to serve some time in prison for a fake assault charge, so that he can gain credibility to infiltrate Costello’s organization. They believe that due to his ties with people involved with organized crime, he fits the perfect role to work with the criminal organization, as an undercover police officer. Both Sullivan and Costigan are successful in gaining entry and are accepted into the organizations in which they will act as a mole. Sullivan portrays a corrupt police officer by maintaining ties with a criminal organization. He is involved by working for the criminal organization run by Costello, as well as protecting them. He would be classified as a uniform carrier because his motive is not that of a typical police officer (Punch, 2009). According to Roebuck and Barker (1974), Sullivan’s corruption is motivated by the pursuit of gain, specifically that which is known as the “protection of illegal activities.” For example, he releases information to Costello, to help him escape and prevent getting caught. Sullivan is aware of all police operations and warns Costello of them. Without the information that he has access to, it would be difficult for Costello to easily get away undetected. This explains why Costello had prepared for boats to be waiting outside at the back of the warehouse location where he was meeting to make a deal to sell stolen missile guidance microchips to Chinese government agents. Sullivan misuses his police authority because he has a criminal collusion with organized crime. He abuses the office, power, and trust and also violates the norms of policing therefore he is seen as being corrupt and deviant (Punch, 2009). Gilmartin (2006) explains that police officers are known to become corrupt as a result of entitlement, which is when they believe that the rules do not apply to them. Costigan is a police officer who is using police deviance to handle things. Specifically, he is involved in using police misconduct, which is known as the act of violating the rules, policies, and procedures of the police force (Larsen, 2015). For example, he uses violent tactics to deal with people, and is seen to assault people on a number of occasions. Once at a bar and another at the store. He is portrayed as a police officer who deals with things his own way, which is to fight. As Van Maanen (2005) would say, Costigan uses excessive force. However, a different approach could have been used to handle the situations. The implicatory denial technique of neutralization can also be applied to Costigan because he justified his actions since he is working undercover for the police and is only trying to help them by gathering information which may help in their investigation. In conclusion, both Sullivan and Costigan’s behaviour is not consistent with the norms, values, or ethics of policing. They do not carry the core values of the police agency, especially honesty, since dishonesty is seen as a big issue in this film. 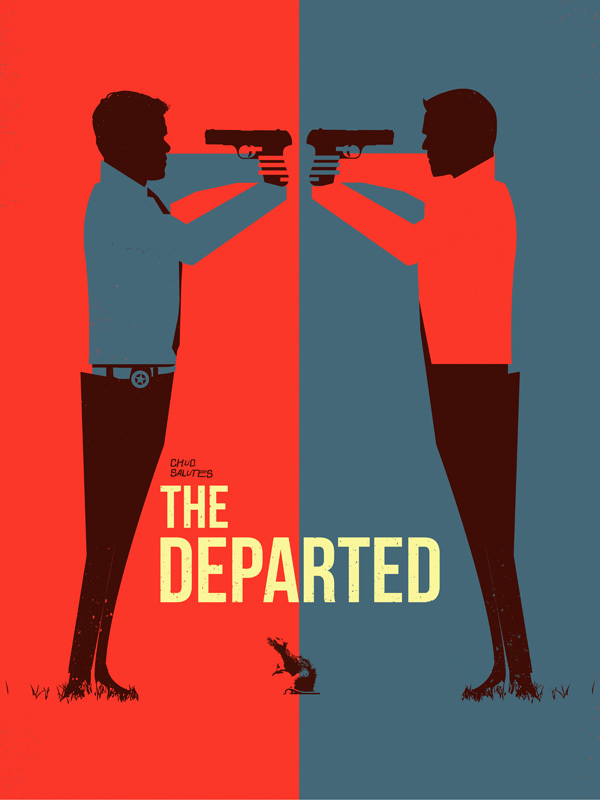 Thus, “The Departed” depicts the role of police in a completely fictional manner. I do not think that society is affected or misguided in any way. Everyone is aware that movies are only for entertainment purposes. Our society has an interest in things which are out of the ordinary. In the movie industry, things like this sell. I think most people are able to differentiate between what is fiction and what is non-fiction. They know that films are dramatized and do not portray the real world of policing. Although, police deviance and corruption does exist in reality, it does not exist to this extent that it is considered a common practice. The core values and ethics of policing in reality are much different than those in the film industry. The common tropes, themes, and messages which are conveyed through this media representation of police wrongdoing include that police deviance and corruption is a normal practice occurring in all police organizations, the police are able to create their own rules, they are always ready to fight, and they are never punished for doing such things, but rather are praised and rewarded for doing so. Instead of letting the courts handle things, police are usually seen taking things into their own hands by beating people up, leaving them to die, or killing them. Another thing which many fiction pieces show include police officers have sexual encounters with people they should only have a professional relationship with. In conclusion, to simplify things, many of the acts, values, and behaviours which would be deemed as unacceptable, deviant, or unethical in reality, are shown as a normal form of policing which is acceptable. Larsen, M. (Spring 2015). Criminology 2355: Police deviance and accountability. Lecture notes. Kwantlen Polytechnic University. Punch, M. (2009). What is corruption? In Police Corruption: Deviance, Accountability and Reform in Policing (pp. 18-52). Portland: Willan Pub. Roebuck, J. B. & Barker, T. (1974). A typology of police corruption. Social Problems, 21(3), 423-437.